Tampa Child Custody Lawyer For Dads - Fathers Rights Tampa | In Law We Trust, P.A. Going through a divorce can be a difficult and challenging experience for anyone, but children often suffer the most. The parent who wins custody won’t always make enough money to give the children the things they need to live a happy and healthy life. But the problem gets even more complicated as some parents will even use children to get back at their former spouses, which creates a lot of unneeded stress and emotional angst. Retaining an experienced family law attorney is vital for anyone who is currently facing a divorce and wants to reach a fair outcome. 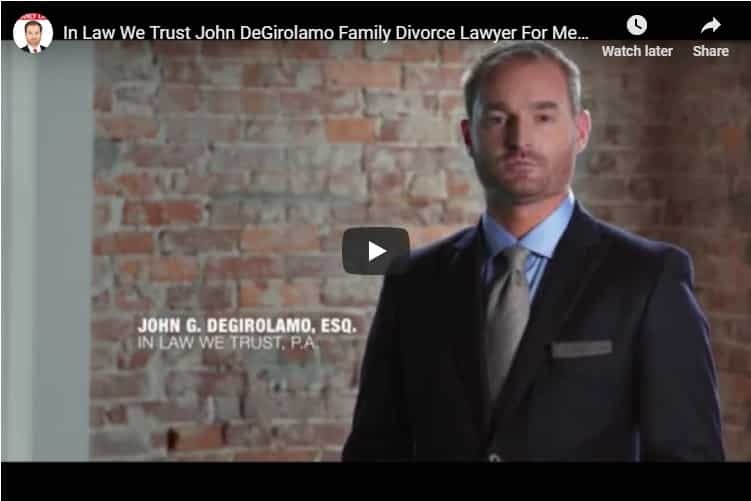 A qualified divorce attorney will do what it takes to make sure that parents have the best possible odds of winning in court, and as the well-known child custody lawyers for dads in Tampa, FL, In Law We Trust, P.A. should be your very first call. 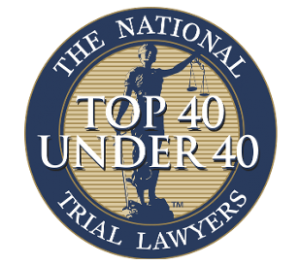 From 2014 to 2017, the law firm of In Law We Trust, P.A., was selected by the National Trial Lawyers of America as one of the Top 40 under 40 in Florida which is a professional organization by invitation only, composed of the top trial lawyers from each state or region who are under the age of 40. Our firm is renowned for our experience in family law and for our successes in helping men with their pursuit of child custody. When a couple gets a divorce, the parent who does not get full custody will need to make payments to help support the children. The parent who has custody should use the money to pay for food, clothes, and other items that are essential to the health and well-being of the children. When the Judge decides the amount of money that a parent will need to pay, the Judge will also take income and other factors into consideration. In some cases, the terms of the child support agreement won’t be fair to both parents, but a divorce attorney can help make sure the appropriate outcome is reached. It is essential that you select the right firm who understands the Florida Child Support Guidelines. If you are seeking custody, In Law We Trust, P.A. should be your first call to retain a firm that specializes in Tampa child custody for men. Although each of the parent’s income will play a role in the amount of money that they will be obligated to pay for support, other factors will also make a difference. For example, a child who faces medical issues or has sustained injuries will require additional future funds to overcome those challenges. The Judge should keep this fact in mind when making a decision and your lawyer should ensure that parents have access to the money they need, no matter the situation. Many other extenuating situations often occur in life and they should be taken into consideration as well. A father could experience career or job challenges, or have a decrease in pay, and that could make it all but impossible to meet the stipulated payments each month. A child custody lawyer for dads in Tampa, FL will bring these issues to the court’s attention to give the father the best odds of receiving fair treatment. Sadly, not all parents live up to their responsibility for paying support each month, and that can make life much more difficult for children and their guardians. Recovering the missing payments is not always as easy as it sounds, and the parties involved are usually left without answers or resolutions. When a person is serious about collecting overdue payments, turning to a divorce and family lawyer will enable that person to bring the issue to light, have Court Orders enforced, and begin to again receive the funds that the children need and deserve. With the support and guidance of the attorneys of In Law We Trust, P.A., parents can hold each other accountable for just retributions and in doing so, will improve the quality of life for the children involved. During a divorce, deciding who should get the majority or full custody of a child can be a complex process. The goal is to put children in the home environment that will provide them with the highest chance of succeeding in life, while giving both parents the opportunity to be involved, provide care, and visit. Unfortunately, the parents themselves do not always live up to the highest standards for their children. Parents are often unfairly denied the right to see their children on a regular basis, and the court will sometimes place children in homes that are not beneficial to their well-being. The attorneys at In Law We Trust, P.A. will ensure parental time is appropriate, if not as full time custody, but for visiting and bonding. By hiring the right family lawyer, parents can provide their child with a fair treatment at every turn. In Law We Trust, P.A. understands the push-pull involved in child custody, and will provide guidance for the best outcome for you and your children. We understand that family is the most important thing in your life and when things begin to fall apart, you may wonder if you need a lawyer or a litigator. Although going through a divorce can cause stress for everyone involved, having a competent, experienced, and aggressive lawyer on hand will help. Call us to begin the representation of you and your family. We will promptly review the details of the case and provide you with the dependable court representation that you deserve. In Law We Trust, P.A. is a firm of compassion and expertise in Tampa child custody for fathers. We will work very hard to help you achieve your child custody goals.